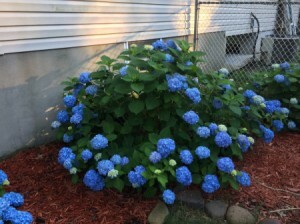 Growing a well shaped hydrangea shrub that is covered with blooms is not too difficult although there are several factors that play a part in this enterprise. First and foremost is proper pruning. This is a guide about hydrangea blooming more near bottom of plant. My hydrangeas bloomed beautifully this year. They didn't bloom last year, but I heard that from many people. However, they are bottom heavy and not shaped very nicely. The first photo was taken on 6/16/17 and the second photo on 6/26/17. Is there anything I can do to encourage a nicer shape and blooms in the middle? The blooms are actually laying on the ground. Thank you. 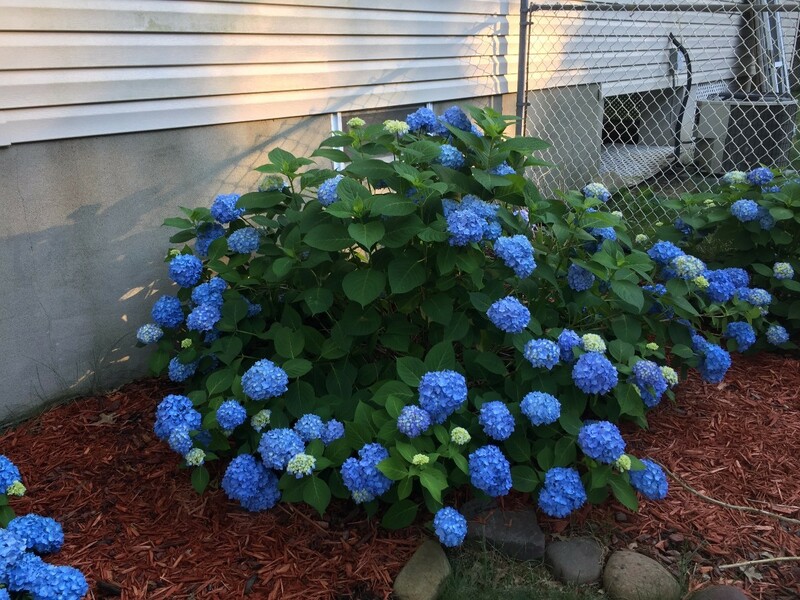 There are several different types of hydrangeas and pruning, sun, watering, soil, and location can affect your growth pattern. But it does appear that pruning or not pruning may be what is causing your bushes to grow uneven, although it is normal to see all different shaped bushes. Do you know if your plants are the type to bloom from "old" wood or do they bloom from new growth? Here are some links that have a lot of good information about these beautiful plants that might help you with correcting this problem (but it may be next year before you will see a big difference). Your hydrangeas really look pretty healthy and only have a few places where they are not flowering so when you prune you should be careful as to how you cut the limbs. 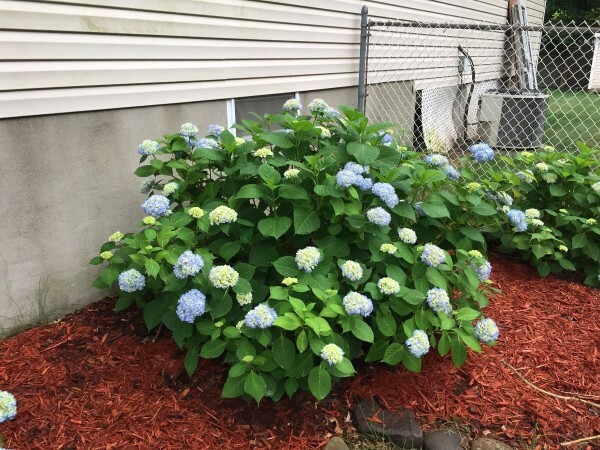 You should first try to determine which type of hydrangea you have as incorrect pruning may keep your bushes from blooming next year. Please determine the type of bush/plant before pruning so you will know if your plant's blooms come from old wood or from new growth as this is crucial to keeping your flowers blooming every year and also to filling in the non-blooming areas. this knowledge will also help you determine where to prune to keep the branches off the ground. I believe you could get some local help from your local extension service with what type of plant you have and some good information about how to prune and if your plants needs hand pollination. Here is a link that will help you find your local office. You should be pruning any dead wood and refrain from pruning after Aug 1st. This will promote growth in the stems that aren't getting enough nutrients, prior to going into the fall season. You can prune after they have bloomed for this year. Pruning also encourages new growth.